Are you one of those users who download a few episodes on your iPhone in your Wifi for on the go because the mobile network is bad or the surfing volume is insufficient? Then Netflix has something very practical for you. The Netflix App for iOS now offers smart downloads. This feature makes it easy to download a new episode of your favorite series if you’ve seen an older episode before. The old episode will be deleted automatically. Automatically replace old episodes with new ones! 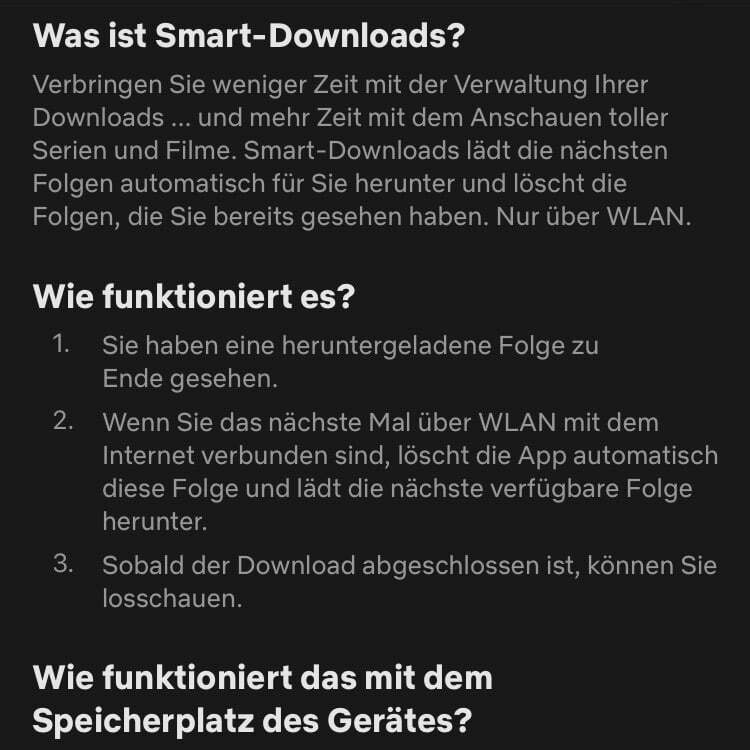 Let’s say you have follow 1 to 4 on your iPhone, have seen 1 on the way and are then in the Wifi: Then the Netflix app starts loading episode 5 after episode 1 has been deleted. Very handy. So the episode was always updated when you are connected to a Wifi.